On Broadway and beyond, a curtain can rise as quickly as it can fall; a star can be swapped as easily as Bernie Telsey can say, “That’s enough.” Theater is the beating heart of New York show business and, if you want to make it here, it’s crucial you’re up to date on incoming projects, the latest castings, and other industry news. Don’t worry, Broadway baby, Backstage has your back. Every week, we’re rounding up the can’t-miss stories no thespian should live without, so you can focus on important matters like hitting your high C. Curtain up and light those lights! Broadway has a new Evan Hansen—and you probably haven’t heard of him. 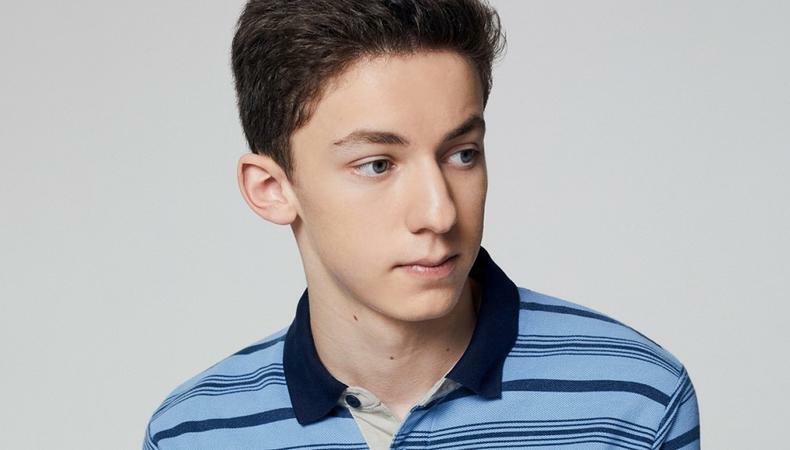 In a rare move for a high-profile role of this magnitude, “Dear Evan Hansen” has announced that 16-year-old Andrew Barth Feldman will assume the title role beginning Jan. 30, 2019. Feldman, who will replace Taylor Trensch as the forlorn teen, was the winner of best actor at this year’s National High School Musical Theatre Awards (more commonly known as the Jimmy Awards). Yid ‘Fid’ will schlep uptown. The Yiddish production of “Fiddler on the Roof” will live to see another day. The Joel Gray-directed rendition, which, yes, is performed entirely in Yiddish, will transfer from its current home downtown to another Off-Broadway theater, Midtown’s Stage 42. Performances at the new locale will begin Feb. 11, 2019, and will see leads Steven Skybell and Jackie Hoffman reprising their roles as Tevye and Yente, respectively. More casting news to come. Following his big year in film, Michael Stuhlbarg has slated his return to the New York stage. The Tony nominee will play the title role in Tim Blake Nelson’s world premiere play “Socrates,” which will run Off-Broadway at the Public Theater. The production, which will be directed by Tony winner Doug Hughes, will begin performances April 2, 2019, prior to officially opening April 16. Dave Quay, Austin Smith, Joe Tapper, and Andrew Weems round out the cast. ‘Wicked’ welcomes new citizens of Oz. Broadway’s long-running blockbuster “Wicked” is gearing up to welcome a new group of veteran actors to its cast. Beginning Nov. 20, Tony nominee Nancy Opel and Jamie Jackson will join the company as Madame Morrible and Doctor Dillamond, respectively, with Jesse JP Johnson assuming the role of Boq beginning Dec. 11. They join a company led currently by Jessica Vosk as Elphaba and Amanda Jane Cooper as Glinda. McDonald and Shannon may be Broadway-bound. Six-time Tony winner Audra McDonald (the most decorated Tony winner in history) and Tony and Academy Award nominee Michael Shannon may be heading back to the boards. The duo is currently in negotiations to lead a starry revival of “Frankie and Johnny in the Clair de Lune,” the Terrence McNally play last seen on Broadway in 2002. More details are (hopefully) forthcoming.